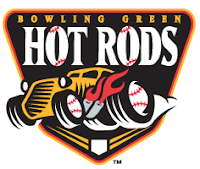 The Bowling Green Hot Rods finished the week a game above .500 for the week, going 4-3. They are 22-30 on the season and are 12 games back. The offense is continuing to show signs of improvement and with the progress they have made, the second half should be a little more competitive. Transactions: Dustin Biell added to disabled list (5/31/10). Eli Sonoqui added to disabled list (5/31/10). Tomas Francisco activated from disabled list (5/31/10). Gabe Cohen added to roster from extended spring training (6/1/10). The Week Ahead: 6/2/10-6/3/10: vs Clinton Lumber Kings (30-23). 6/4/10-6/6/10: vs Kane County Cougars (22-31). 6/7/10: Day Off. 6/8/10: at Wisconsin Timber Rattlers (19-33).